If you’re going to fish for King salmon in Alaska, the 280-mile long Nushagak River is the place to be. The “Nush” boasts the 3rd largest run of King salmon in the world, and it’s one of the powerhouse rivers sustaining Bristol Bay’s unparalleled salmon fishery. In June each year, King Salmon are the first to return to their spawning grounds. It’s a highly anticipated event, a cause for celebration, and (for participants in the Neqa Derby) an occasion for some healthy competition! 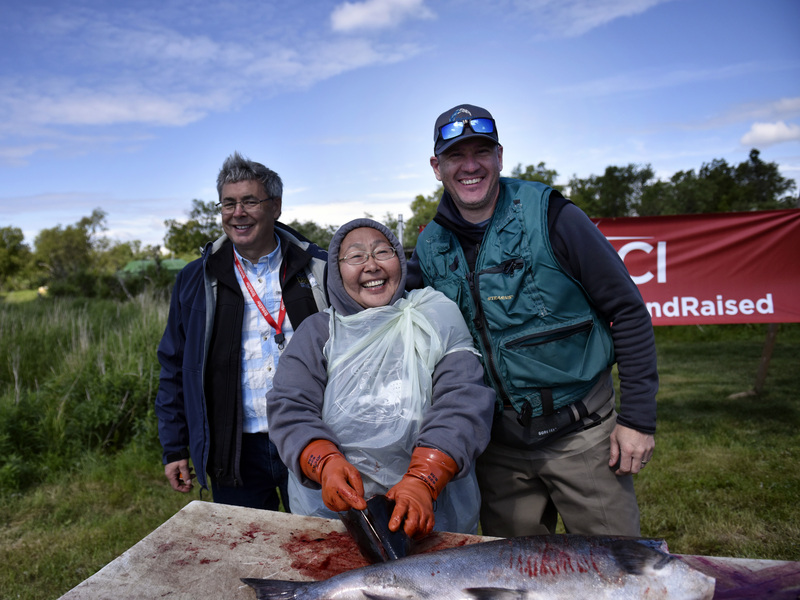 – Located in Bristol Bay’s premier fishing grounds, the Neqa Derby is held over three full days, with daily weigh-ins and cash prizes. This year’s Derby is June 21-23, 2019. – There are only 100 derby tickets available. This limits impacts on the Nushagak River ­– and also increases your chances to win! – Neqa Derby includes activities that highlight the land, language, and salmon-based cultures of Bristol Bay. Learn first-hand about the deep and abiding connection between Bristol Bay’s land and its people. – Neqa Derby is the premier fundraising event in support of programs offered through the Bristol Bay Native Corporation Education Foundation. Since 1986, BBNC has provided support for and encouraged its shareholders to pursue educational opportunities and to promote and preserve cultural heritage. In 2018 alone, the Education Foundation awarded $686,000 to 170 Higher Education scholars, $86,600 to 118 short-term vocational training recipients, and $75,550 in cultural heritage awards. Your participation makes a direct impact! Are you hooked? Here’s how you can join in. – Travel to Bristol Bay in June 2019 and participate in the Derby and associated cultural events. See this list of lodge owners to check availability. – Timing is tight for this year’s participation. If you can’t make it in 2019, sign up for our mailing list and plan to attend in 2020. – Make a direct donation in support of our programs.